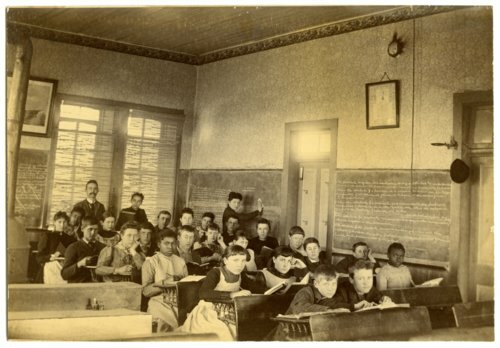 This interior view of a classroom is believed to be from the old Alma School located on the watertower hill in Alma, Kansas. Notice that the room had a wood or coal stove. The building had no electricity.